We have had tons of content added since my last post about HockeySC. Along with the quality content in the form of articles, videos, programs, and webinars, the forum continues to have great discussions. Currently, there are discussions on slideboards, short off seasons, and summer hockey schools. If you are a member and you want to ask a question, please don’t be afraid to post it on the forum. In Season Training Webinar by myself. In this Webinar, I give the same presentation that I gave live last month at the Roger Neilsen’s coaches clinic. In season training ias something that I am passionate about as it consists of the most time that I spend with our players. 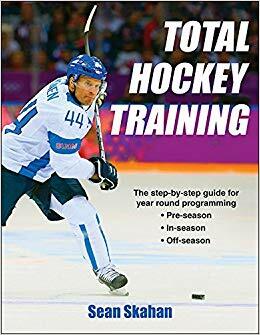 Training with the NHL Carolina Hurricanes is a video featuring Peter Friesen, the Athletic Trainer/Strength and Conditioning Coach of the Carolina Hurricanes. Pete is a passionate, high-energy coach who gets the most out of his athletes. This is a good video that shows Pete in action. ACL Rehab Phase 4 by myself. This is another part of my ACL rehab program. You can see how we progressed along with all of the exercises included in the program. The exercises during this phase aren’t too much different from exercises used with “healthy” players. Interview with Power Skating Coach Cathy Andrade by Mike Potenza. I am seeing the benefits of proper power skating coaching with players, especially younger ones who might need to fine-tune some aspects of their skating. As a result, I’ve seen some drastic changes in some players’ stride and technique over the years from good power skating coaching. This is a good interview with a good power skating coach. 4-Day Off Season Program Phase 3 by Kevin Neeld. This is a good program designed by Kevin. I really like the pre-training assessment questions on the sheets of paper for each workout. There are some excellent exercise variations in this program. Posterior Chain Variations by Darryl Nelson. In this video, Darryl shows some examples of the posterior chain exercises that he uses with his players. Darryl shows how uses such as the stability ball, slideboard, and the TRX for strengthening the posterior chain. Good stuff from Darryl.